6.7" x 9.3" stitched on 14 count. 5.2" x 7.2" stitched on 18 count. 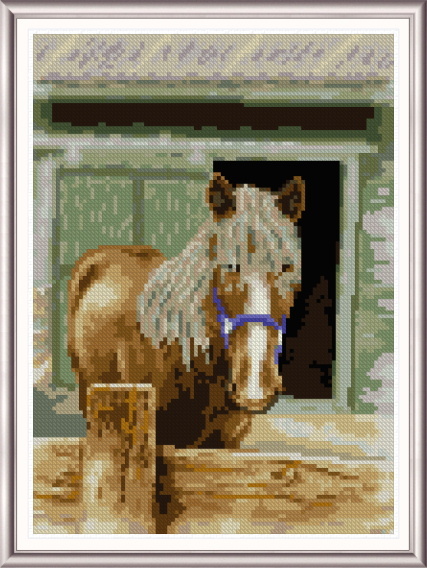 Misty cross stitch pattern... Farm horse standing in front of the barn door.